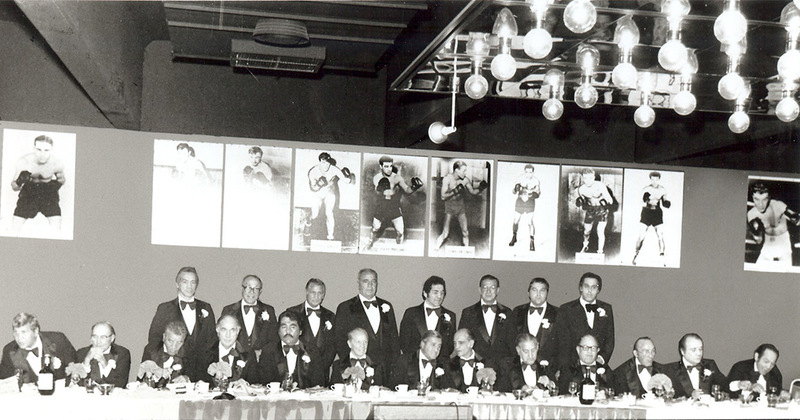 The results were so overwhelming that a friend and local businessman, Don Ponte, encouraged Randazzo to start a Hall of Fame to honor all Italian American athletes. 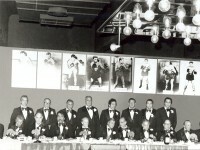 One year later, the National Italian American Sports Hall of Fame was founded as a non-profit, educational institution. The first induction ceremony and banquet was a star-studded event, as the Hall of Fame honored Lou Ambers, Eddie Arcaro, Charlie Trippi, Gino Marchetti, Dom DiMaggio and “The Yankee Clipper,” Joe DiMaggio. Mrs. Vince Lombardi also accepted the posthumous induction of her late husband, Coach Vince Lombardi. In the years that followed, celebrities from all walks of life have come to the annual induction ceremonies to pay tribute to outstanding Italian American sports champions and heroes. A special and uninvited guest took part in the 1980 induction ceremony, as President Jimmy Carter offered his congratulations and addressed the crowd. In 1988 the Hall of Fame moved from its original headquarters in Elmwood Park to Arlington Heights. 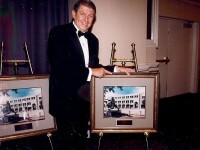 The NIASHF enjoyed a new beginning in 1998 with the help of Phoenix Suns Chairman/CEO Jerry Colangelo. A 1994 Inductee and Chicago Heights native, Colangelo was asked by Randazzo to serve as Chairman of an ambitious new Hall of Fame building project in the heart of Chicago’s Little Italy. Colangelo accepted, and has succeeded in bringing together civic-minded men and women from across the country in support of the project. 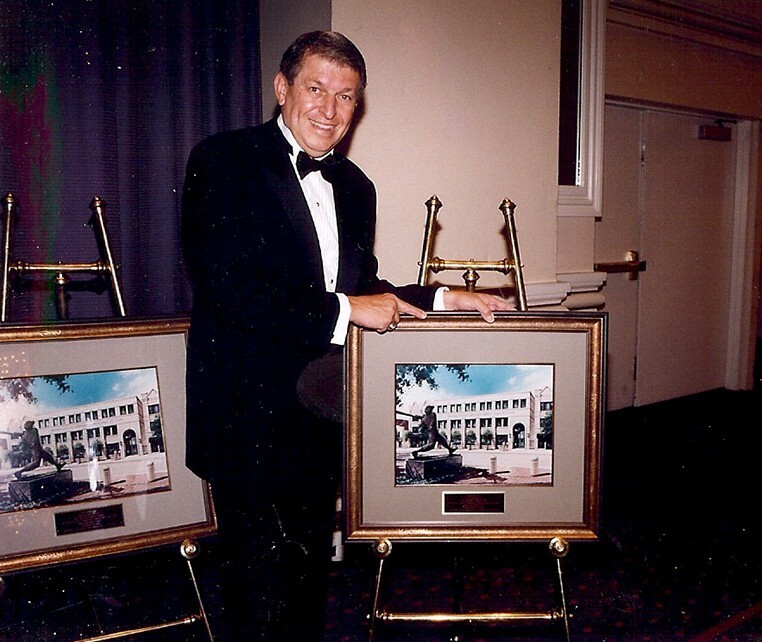 In 2000 the new facility was dedicated as “The Jerry Colangelo Center,” a tribute to his efforts and leadership. There are now over 250 inductees enshrined in the Hall of Fame. In 41 years, the collection of sports memorabilia the Hall has amassed is second to none. The priceless artifacts include Mario Andretti’s Indy 500 racecar, Rocky Marciano’s first heavyweight championship belt, Vince Lombardi’s last coat worn as coach of the Green Bay Packers, and swimmer Matt Biondi’s Olympic Gold Medals.